Transforms your wallet into a purse. 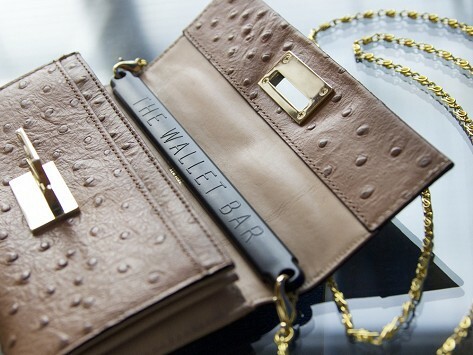 A wallet purse is the perfect combination of the convenience and organizational benefits of an everyday wallet, with the luxury of a shoulder bag. Dimensions: 22" x 12" x 0.79"
What a great little invention! I use it all the time. From big heavy purse to featherweight billfold this simple little invention saves my aching shoulder. Love it so much I'm getting a 2nd! What a great idea. I never even knew the space was there on my zippered wallets. I wish that there were two lengths for each color, though. When all you really need is your wallet, why not let this handy hands-free solution work its magic.